Immigrant and refugee stories are at the heart of TeAda Productions’ work. Ova Saopeng talks about finding talent in transient cultures in Los Angeles and across the country, creating an ensemble with them, and sustaining the artistic side of himself almost entirely with the administrative side. Masters of The Currents. Photo by Brad Goda. Jeffrey Mosser: From The Ground Up is supported by HowlRound, a free and open platform for theatremakers worldwide. It's available on iTunes, Google Play, and HowlRound.com. Dear artists, welcome. If it sounds like I'm kind of quiet when I record these introductions, it's because I am. I usually record these after the baby goes to bed? So I'm here with a cup of tea for me and a podcast for you and ... yeah. So, enjoy. I like to think that I would be much more boisterous if it weren't for the kiddo crashed out. In fact, you'll get to hear from her in one of our future interviews coming down the line here. But before that, today I've got Ova Saopeng from TeAda productions in Santa Monica, California recorded on 25 April 2018. Ova was one of the last interviews I did, but it feels relevant for us to bring TeAda's work to the foreground today. The day that I recorded this was the day that a third federal judge had ruled against the administration's attempt to end deportation protections for DACA program recipients. The work TeAda does focuses on refugee and immigrant communities, but really they go everywhere with their work. In fact on their website right now, you can see the workshops they've got coming up in Minneapolis and beyond, so maybe you can catch them in your neck of the woods. Everyone who is working on ED&I right now, which is equity, diversity and inclusion, should take a listen. Certainly in the podcast with Coya Paz from Free Street Theater, we talked a lot about finding the right spot in the community, but Ova give some really awesome advice on finding the right actors to put on the stage, which is really inspiring and really awesome, and he has a really key phrase that I hope you catch throughout this. We also talked grants, community partners, especially in the non-arts sector, which I think is really fascinating, and sustainability, which is something on all of our minds, but it's really prominent for Ova throughout our conversation. One of my favorite things that he says is passion can only take you so far, and that is so true. I feel like on the roads that I've traveled, I had someone tell me that there are three reasons to take any gig. Listen to me saying gig. That's a word that we need to unpack. When does theatre become a job or a career and not a gig? That's a question for a later podcast. But there are three reasons to take on a project: relationship, passion, and money. The project lets you connect with someone or continue a relationship you want to work with, a company you want to work for. So there's the relationship side of things. Passion: it's your passion project. You've always wanted to do a play about dancing with a washing machine for years, and finally you that chance. Today's the day you can dance with a washing machine. And money; for money rather. The project keeps the lights on, food on your plate. The wisest part of this advice that I was given was this part: If the project gives you one of those three, consider it. If it gives you two of those three, take it. If it gives you three of those three, stop listening right now and go sign the contract. We'll be here when you get back. That's that. Hopefully, that helps somebody else because it certainly helped me when I was trying to be—decide if I wanted to ... what kind of projects I wanted to take on. Something I have to say before we get into this, though, is that I recorded this in what was meant to be a soundproof booth. However, there was construction going on the floor below me, which made the booth significantly less soundproof. The pounding intensifies as the podcast continues. Around 30 minutes, it gets a little bit, y’know ... it sounds like I'm hiding from the podcast police. Nothing, unless it was happening, I promise. It was just some crazy cause construction that I wasn't anticipating that day. Some other things, Ova talks briefly about The Network of Ensemble Theatres micro fest, which if you don't know about The Network of Ensemble Theatres by now, AKA NET, you should. The micro fests are multidisciplinary events hosted by NET, with learning exchanges and performances and much more for ensemble based practitioners. He also talks about NPN, The National Performance Network, which as an organization, supports and encourages risk taking for new play development. And finally, we talk about the New England Foundation for The Arts, NEFA. I hope everybody knows about them as well, if not, know that we've got an interview coming up with them as well. Okay, that's enough. Let's move on to our interview with Ova Saopeng of TeAda productions. Ova: Yeah, TeAda, because for me ... it's based off of Hawaiian Pidgin because that's where I was raised, and so TeAda is basically the theatre. It's broken English for theatre. Ova: We've heard it said tay-AH-dah, TEE-duh, tuh-DAH. Sometimes it’s [laughter]. And responding to what you were saying, I definitely hear that question of sustainability is a big question, and there is no right answer, I guess, for it, and it seems very regional, individual. It just varies by organization and by individual. It's great to hear that you are looking at a swap of different ensembles and seeing how they operate and how they work. Definitely in line. Jeffrey: Let's just dig right in. Can you give us the deep dive on how y'all started? I know you are in your—are you in your twentieth year, or you're about to celebrate your twentieth year? Is that correct? Ova: Yeah. Yeah, yeah. We're coming close to twenty years, so I have to preface that I am current currently just the a co artistic director of the company. My partner in life and art, Leilani Chan, the founding artistic director of TeAda productions. TeAda started twenty years ago, basically, with the premise of creating, actually, work that wasn't being supported traditionally, and so ... Leilani is also from Hawaii as well, and so both her and I met through, in actuality, a very ensemble process project called The Color Project, which was working with the Hawaii community here in Los Angeles. We're based in Los Angeles, but we have an array of primarily supporting artists of color. When I say artists of color, primarily Asian American, as well as Latino, as well as queer artists and emerging artists that have not found a way to connect with the traditional or the mainstream in terms of developing work. When TeAda had started, a lot of the work started off with solo work, supporting emerging artists who have solo work because solo work was easy and that was sustainable at that time. And then after several years of doing that solo work, the company grew, and we realized that while solo work at a certain point ... there was more ensemble. When I say ensemble, I get more and more group work more ... How do we interweave these artists and these communities? Now, we're at the juncture where Leilani and I have been with the company for good over fifteen, twenty years and now the trajectory is more very focused on several things. Community engagement work and ensemble based work, connecting artists as ourselves, as well as community. When I say community, it's a plethora of different racial, ethnic, as well as ... now our focus is on immigrant and refugee communities. That's something that's been to my heart because, I, myself, am a refugee. We have worked in these past years with a Hawaiian community in Los Angeles, we work with the Lao American community or Laotian community in the US, and it's interesting because ... and as we said in our mission statement and in the process of us growing, we have become and have always been a nomadic ensemble theatre company. We've had a slew of ensemble members, like a core member of people, but Leilani and I have been basically the vanguards and the crux of the company and the decision of where the company is headed. Our most current work, and this is pure ahead of primarily by Leilani and myself ... so there's two different factions right now we're operating with TeAda. One is specifically, we're looking at, and this came out of The Network of Ensemble Theatres, I think MicroFest, where the question of your organization or your theatre and place. When we realized that here in LA, it's been a struggle for TeAda to find a place to ... we don't have a space. We're operating out of our own studio space, which is more like an office studio space, but we don't have a performance space to uphold. So in that sense, the pros for sustainability is that we're nomadic. We don't need a space to maintain, to pay overhead. We're free, but I'll [inaudible 00:10:59]. We've either got to search for places to rehearse, places to perform, and that's been a challenge because LA is such a different animal. It's a huge metropolis. That's why a lot of our work has become more national, and that's where the relationships with NET and actually National Performance Network, NPN, have given us opportunities and specifically for myself and Leilani to be able to create and develop work not just in LA, but in other parts of the nation. Currently right now, we just presented and developed a piece called Masters of the Currents, which is a play about the Micronesian community based in Hawaii. We're going to be bringing it to the continents, coming up in October. Jeffrey: I'm glad you brought up the nomadic idea. That's something that is really a big question to me. It sounds to me, and from looking at your website, you have a lot of community partnerships, and it sounds like you have these amazing national partnerships with NPN and The Network of Ensemble Theatres. It sounds like TeAda really depends on the partnership to continue making the work. Would you say that's true? Ova: Yeah. Yeah, that is true. It is true. That's a strategy that we've been able to figure out in terms of ... again, that's the big question for any organization, any arts organization. How does one sustain oneself? One way is all these great partnerships. A lot of these partnerships are not specifically arts based, they are social service based, they are health based. For example, coming up, as you said, looking at our website currently, we have this local programming that we have our CreAtive Self Care, and as you have mentioned, that we have all these local partners and that takes time to build. A lot of these organizations ... again because of our mission, we're focused on refugee and immigrant communities, and so because of that, the organizations that we select to try to partner up with are ... like Koreatown Immigrant Workers Alliance and UCLA Labor Center. They all take time to build relationships with. In addition—and that's just here locally in LA—and then of course, nationally, we work with, in Portland, there's IRCO—Immigrant Resource Center in Oregon for communities. Partnerships are important and partnerships, even outside of performing arts organizations are important as well. Jeffrey: —ensemble as in a governing decision making body within TeAda, right? Ova: That is correct. That is correct. The organization itself, there's only about maybe three or four staff members. In terms of the artistic decisions, there're artists as well as administration. That's the other layer within just sustaining this organization. Part of the funding that we get is through grant writing and that's on our shoulders to try to figure out and find. That's where, again, the partnerships with whatever funding sources that there are, whether it be an arts or a non arts funding. In terms of, you were saying, the ensemble process. It is more the process, rather than we have an ensemble of people. You know what, to be honest, we have tried to create an ensemble group for TeAda. It just hasn't happened because everyone seems, as much as we try to have commitment, everyone seems to, at a certain point, veer off and going through their own journey and career. That's been the most difficult thing for us, is how do we—that's the big question for us. How do we sustain these emerging artists, or these artists who have gone off and started to have their own careers? How do we retain them? How do we keep them together with us? TeAda has always been this organization that gives, that have opportunities, that offers opportunities for, and again specifically artists of color. But then what happens when these artists then ... we helped develop one stage of it, and then of course, there's only so much that we can offer. And so Leilani and I have taken just the ensemble process. When we say ensemble process, a lot of it is community engagement. A lot of it is us working with the community, looking at the possibilities of developing community artists. From there, it's almost a two layered process of, we're bringing in all this artistic experience, theatrical experience, theatrical training, and the community is bringing the content, the stories, the relevancy of what's going on. Of course, it's because we are focused on refugee and immigrant communities. There was a lot going on. That's been the heart and the drive that has given us and TeAda this drive, at least right now. At least right now. The process is very ensemble, in terms of collaborations. 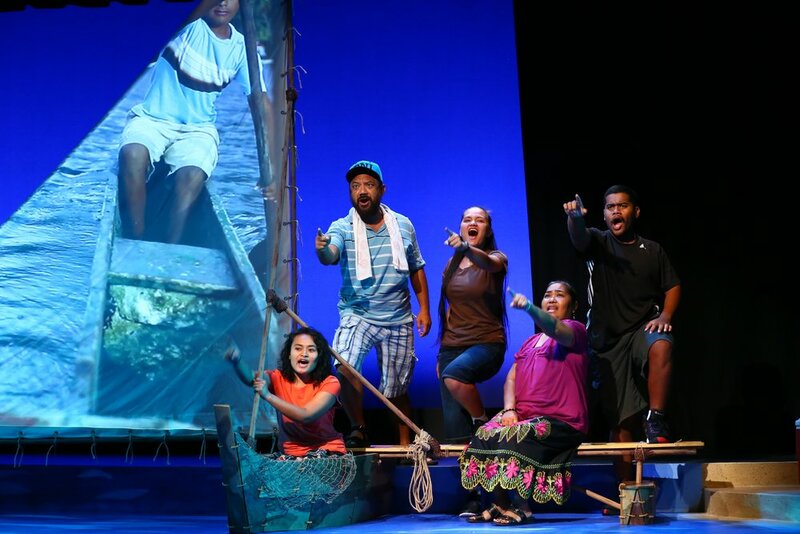 The immediate example is currently right now with our show , it is the first play that that speaks to the Micronesian story in the US. We had a hard time. Leilani and I as the lead artist had a hard time finding ... what Micronesian artists were there? What Micronesian performing ... there's no actors out there that we knew of, and we threw a wide net as we could. But the genesis and the power was to the ensemble process, where we actually learned. I think that having a partner and specifically, she's one of our cast members, Innocenta Sound-Kikku became our cultural navigator, which we've labeled as a learning process for us. It's like any community that we would go to having a cultural navigator, someone who knows the community and knows the protocols and is along with us to see how we can make impact through the arts in this way. Jeffrey: I love that. That's such a fantastic ... I've got tingles thinking about a cultural navigator. I think that's such a great phrase. It's such a great title to give someone who can illuminate so many posed questions that you don't even know what to ask, or point out difficulties that we haven't thought about yet. I think that's fantastic. How do you satisfy the challenge of seeking out those Micronesian actors, artists, the folks who you need to take roles so that you can be speaking appropriately to the culture and talking about the culture and through the culture at the same time? Ova: It starts off with authenticity and coming in with an open heart and an open mind. That's really the key. With a lot of respect. I think respect is something ... I know this is a challenging topic because, and again, we're talking about ... and when I say challenging in terms of the topic, I mean, there's so many ways in which one can go about it. I come from a refugee background, a Lao American background, a Hawaii background cause I was raised in Hawaii. Already, there's layers for me. That comes in, in terms of the opportunity for me and for this community and an artist of color, because we're not ... again, there's these conversations about diversity, equity, inclusion. We're going against the grain. Even the ensemble process is going against the grain. We have this uphill battle, and there are times where I ask myself, I'm like, "Why am I doing what I'm doing?" Why have we been doing what we're doing? There are times where ... The heart of it for me is that I believe in the collective knowledge and power of the collective of the ensemble, number one. The other thing I also believe is that, I believe theatre is transformative. It's a transformative art, and I can see it in the impact. To answer your question about overcoming that obstacle in terms of looking for Micronesian performers, we actually held workshops with community members, instead of doing it the traditional way of, "Hey, we're going to have an audition for this play that we're doing." That's the traditional way. "Oh, there's this play that is specifically about this community." No, we go into the community. We offer storytelling workshops. We offer other avenues in which we say ... hey, one of the fun things we did was we actually held two workshops. One was for an audition, traditional audition, and at the same time, we also had another, what we call the storytelling workshop. We're this theatre company is coming in and we're doing this work. We want to offer a storytelling workshop. If you have a story, come on out. Through that, we've got various different people from the community that came out, and out of that ... again, the transformative power of theatre. For example, this one cast member Jayceleen, she's a community member. A young girl who loves writing, is a poet, is a storyteller. She came in thinking, "Oh, I'm going to come just share my stories. To share the story because I think it's important. My community is important. I want to people to know about it." When she came, of course, we didn't just have her to share the stories. We had her on her feet. We're doing onsite theatre games, where you're using your body and your voice and expressing from the story. That really was impactful for her because she realized that, "Oh, there's more to just storytelling than just storytelling. I can express this story just through my voice, through my body in this way." That gave us, actually, for the current player right now, four actors who are from that community. Ova: When I say actors, I mean they are new. There is a new experience for them, but they are from the community, and we have had to work in training them from our experience to get them up to speed. That's how we overcame that. We have this play out of it. We have all these Micronesian actors. They're probably the first Micronesian actors that all these kids have gotten to see when we perform the show. Now, the next stage or the next struggle then is now how do we get this play with these community members who are not as trained as I am? I'm in the play in myself, and I know that that's another thing where ... when professional presenters see it, they see that, "Oh, these are, these are not professional actors. They're community actors, but the story in the content and the authenticity is there." The story is important, the stories are relevant, this community's relevant. How do we bridge that? That's been the next step. It's varied. There's so many struggles and challenges, and so this is just one example. For us, Leilani and I have been led by just, again, our passion, and specifically our intent to find ways to make impact. TeAda has made an impact, and all the twenty years as I've looked at ... we're looking at a list of participants in workshops, in communities and people and artists that have come through. We have a large roster of people yet it's still a struggle for us to sustain our company. It goes back to funding. How do we continue to fund this artwork that is expensive? To put time into a community, to put time into working with artists of color, is an investment that needs a lot of funding, that needs a lot of time. TeAda, and specifically Leilani and I have had to struggle with looking at those challenges and going, "Okay, what do we do next?" or "How do we do this?" We're learning. We're learning as we go. It is very focused on the process more than the product. Jeffrey: When you're talking about how funding for productions, particularly for people of color and the work that you're doing, do you find niche grant opportunities? A minute ago you talked about like arts and non-arts funding. Ova: In terms of grants? Oh my Lord. There's this pool of funding. Everybody else is waiting for this funding. How do you stand out from it? Then look at funding that would support social justice, that will support health, that would support science. How does one then emerge, almost argue for the relevance and the value of theatre arts in these realms? When I talk about diving into other grants ... and then when I specifically say non-arts, it is either pools of potential funding. We're an arts organization, and so obviously, there's only so much in terms of arts funding that there is to compete for. Through these partnerships, we have been able to find other sources outside of Arts Fund, and so that's what I mean by leveraging these partnerships. It is not an easy thing because obviously, you have to find a partner that would really work in tandem with you along the way. Again, it's very collaborative. One way for an ensemble to sustain oneself is to look for partnerships and other sources in that way. The other thing that we are looking at is ... because in all honesty, ticket sales don't even do it for us because a lot of the work that we do and the communities that we serve, they're not cultivated, again, like the traditional theatres where majority of the audience members are season ticket holders. In all honesty, they're primarily older, white, wealthy. It's a privilege to go to the theatre. A lot of the communities that we do serve, it's either free or low cost offerings for them to come and see a show. It's hard because even then when we do say, "Hey, come see a Micronesian play. It's about your community." Again, the community is struggling in themselves to sustain themselves, so it's hard to even think about taking time out to go see a play. It takes effort, it takes time, it takes money. Because of all these challenges ... I look at any community that is struggling, all you're trying to do to a certain extent has put food on the table for your family, or to get health services for your family. It's definitely not something that is part of their routine. We are hoping that through the work that we do, it does develop into that. It does cultivate that. In line with that is, going back to the question of potential sustainability for us is to look at offering, through these partnerships, expanding our array of work. For example, the CreAtive Self Care series. Now, these partnerships could possibly open up doors to more work for us in terms of facilitating workshops that could make an impact within these communities. That couldn't bring in income for us to sustain our company. That's another way of knowing that obviously shows and performances with ticket sales ... normally, we lose out money on that because you have to build an audience, and it's hard to build an audience if you don't have the resources to build that audience, unless you are a big theatre company that has those resources and departments. We are not that type of ... we're scrappy. We're this scrappy little company that has been around for twenty years, and we do have a voice and we're trying to ... have a voice really loud and we're trying to argue for, "Hey man, this is important work. This is transformative work. How do we get more funding? How do we get people to value the work that we do?" That's been a big struggle, because the value of arts, and not just to support artists of color, but just arts generally within these communities. It's like, what do they value? How do they value it? Because I see instead of doing work in a theatre where the community is not familiar, why don't we go to the places where they gather. For example, when we were doing Refugee Nation, which is another play that we spearheaded about the lawmaking community, we would go to Lao New Year festivals and these festivals, that's where the community gathers. We are totally different from anything that is traditionally routine from these festivals. We're this theatre company that's coming out and doing these scenes and excerpts about reflecting the community that focuses contemporary issues. It's not just celebrating the traditional, the cultural, but we had to be strategic and say, "Hey, how do we get ourselves out there so that the community knows that we are this company that has this amazing, important, impactful piece that has to argue for them to understand how valuable it can be, how impactful it can be?" Those are some of the other ways in which we've been able to think about just keeping ourselves out there, sustaining ourselves, getting ourselves recognized and hopefully, getting support in that way. Jeffrey: Can you give an example of a successful grant that you've used that as a springboard for, "Hey, and then this will lead us to this next project." Ova: The Network of Ensemble Theatres Exchange Grant is one of the most beneficial for ensembles, obviously. It has given us an opportunity to build relationships with different organizations, to learn to exchange processes. For example, we've been able to work with Carpetbag Theatre in Knoxville, Tennessee. We've been able to use it to work in Hawaii with T-Shirt Theatre, which is a theatre company there that I, actually, was a part of when I was in the hood. That's actually the company that started me off in theatre. Ova: In that way, it's led us to other funding. For example, specifically with the project in Hawaii, we were able to find another local funder who came in and helped support us because we were working ... through one grant, we were able to do this project with the Micronesian community. It's a hot topic because it is current and relevant, especially in Hawaii. But it's also national and global. In a sense, we're talking about the refugee and immigrant experience. That has led us to opportunities to get funding for work that is relevant and important from the funder's perspective. Jeffrey: I also want to point out that today, the twenty-fifth, the DACA conversation is happening at the Supreme Court today, which is brought up again. I just think it's so pervasive right now. How does it feel to be an ensemble company that is refugee based and really ... I would feel like the ground is shifting underneath your feet. Ova: Here's a little story. Leilani was working on ... this is before your current administration came into power. He's been transferred. And how the NEA and the struggles of the National Endowment for the Arts. We were applying for a grant, and Leilani was like, "The grant that we want to work on is specifically about refugees." There was a moment where it's like, "Do I even apply? Am I putting all this time and effort to do this work that is going to be ... is the NEA going to be around? Is there going to be even funding? Is the rug going to be pulled out?" There was always that worry, but then as we talked about it, as we thought about it, we're like, "That's why we do what we do. That's why we need to go for it and try for it." To speak for that voice, to speak for the refugees and immigrants. In all honesty, this country is made up of refugees and immigrants from the beginning. I think it's just people having woken up. There's multiple layers for me, and coming from Hawaii, Hawaii is this amazing mixed community of so many different peoples from different cultures, and specifically from the Pacific, from Asia. Growing up in Hawaii ... and again, this is where, for me, the play Masters of The Currents with the Micronesian community was so imperative in and relates to me as a Lao American who came as a refugee back in the late '70s from Laos, from the Southeast Asian country. What it is, is that when I grew up in Hawaii, the word aloha means to be welcoming, to offer love, and it's a Hawaiian word. It means to have open arms, to have aloha for someone. What happened to that aloha and knowing that all these generations of even these immigrants who have been there and they're looking at the most current refugees and immigrants who are the Micronesians and looking down on them. They're the first ones to come in, or they're the most recent people to come in, and they're being told that they are the cockroaches of Hawaii. That's a microcosm. And then I look at nationally what's going on and what's being spewed out by the current administration, and then even globally, what's going on, where there's all this push back and this nationalism that's going on. It has repercussions, and we can learn from ... how can we get this very local and very specific story, but obviously, have universal themes that I know that? That's been the heart of the work that we do. I'm going to have to say, Jeff, that I can only live off a passion so long, that's the other thing. Jeffrey: Yeah. Right, right, right. Well, yes. Ova: And then you're coming ... you're coming with like, "Well, we've been around for twenty years." Leilani and I look at each other and we're like, "What did we do next?" or "How do we continue this work?" We look at the ... again, trying to find our place here in the fabric of American theatre, and also our place in terms of, where do we want to go next and how do we want to move forward? Because we've been knocking on the doors to say, "Hey, this is important." How come the work we're doing isn't valued by these other entities? I don't know how much more running in this hamster wheel are we going to do just before we break out. Jeffrey: I'm glad you're talking about this because I think that ... some, there's something about the life cycle of an ensemble, as well. I guess we're all motivated to stay on the hamster wheel for a little bit longer because of some sense of passion. But then, there's often some other reward, maybe a financial reward, or a resource reward of some sort. Gosh. What am I trying to think of the psychological thing? Like Pavlov's dog, we got a little taste of something. It means we can go another mile. Was there anything in your process that made you say, "Oh my gosh, we can go another two years because of this?" Ova: Two things. One is just looking back at the impact that we have had and the ripple effects that TeAda has had in all its time and seeing that growth, I think, and seeing the ... What is the word? Support and uplifting of all these people we have touched. That's fulfilling. That's fulfilling. The other thing is, again, to be honest, our work, Masters of the Currents would not have been possible without the New England Foundation for the Arts, which is a very competitive grant. That was the foundation that gave us this opportunity to develop this piece to get to the point where we can read a little. What's great about the New England Foundation for the Arts is that through this particular grant ... it wasn't just, "Here's the money, go do it. ", there was a lot of support. Support in terms of conversations, reporting in, checking in about, "Well, here are some other resources. I'm looking to move it this way." People within the foundation to lead you to other resources within that network, like The Network of Ensemble Theatres. Like, "Hey, here's some other other ensembles", or "Here's some other places that are doing this." Learning from each other. Having that resource and that support in addition to just the money is important. We were just ecstatic because they gave us ... I think there were over a hundred applicants at first. Out of those hundred, there were twenty, I believe twenty-four, who we went to the final round, and out of those twenty-four, only six projects were given the green light and we were one of the six. So that's important. I'm sure all these other twenty four were also very impactful and can be impactful and transformative. The question is, "Okay, so what is the next thing now?" After these couple of years, how do we continue? Do we finally ... to get this current show booked? And how do we get it booked and presented and valued, so that we can sustain ourselves and continue going? Jeffrey: I'm glad you brought up NEFA. I'm going to be interviewing a couple of folks from there too, because they feel like they have really been able to communicate to ensemble theatres in a way that other grant panels maybe haven't necessarily traditionally so far. They seem to really understand a community of makers, rather than the other structure of theatre making, which I think is so fantastic, and you've been chatting about all along here. Can you tell me, percentage wise, how much do you think your earned income is versus your contributed? Ova: Our budget, our annual budget has fluctuated because of the grants. For this couple of years, we've been close to that 100,0000. But prior to that, we were below a $100,000 organization. Earned income, I don't have the specifics, but I would say ten, fifteen percent would be earned income and then rest ... primarily, it's been grant funding, and so we're working on trying to figure out, how do we do this? We don't have [inaudible 00:42:23]? We don't do that. We don't have that capacity. For example, currently right now, we're thinking about having a fundraiser, and how do we do it? How do we do it where we're not spending more than what's coming in? Contributions have been very, very minimal. Again, we don't have the department or the capacity to continue to sustain and build the audience base that continues to give, that sustains us. And we want to. We want to, but how? With what capacity, and then what funding do we have? I think the other thing ... I want to preface this also, is that in terms of grants ... when you apply for grants, a lot of the grants are very program based. They're not organizations sustaining based. They're not funding that's like, "Okay, here's money to keep the organization going." Because how do you get funding just to sustain your organization? Because the money that comes in for programs ... and usually, when you even apply to these funders ... and again, they have different layers, but especially with government funding, you asked for ten thousands and you only get seven or five. Already you're under budget to try to cope out. How does one sustain oneself? But again, where does that funding to create that system in our organization, where does that funding coming from there? Those are just the challenges of any small or medium size organization. Jeffrey: Yeah. That really looked back to what you were saying earlier about having a strategy of survival or a strategy of sustaining. I'm going to create this system that may not give me everything that I need to get there artistically or even as a human. I don't know if going to be able to survive if we don't get the full amount of this grant. Ova: In terms of the life of TeAda and how it's downsized, we had a wonderful staff member who then just had a better opportunity with another organization. But through working with us, she was able to learn skills that that was just amazing, ut there was a bigger, brighter opportunity for her to move on to. Again, they're just the challenges of up keeping an organization. Jeffrey: You are both artists and administrator. Are both of you paid? Ova: Yes. Well, Leilani is specifically on staff. I am paid, but as an independent contractor. Ova: [inaudible 00:45:23] is also paid as an independent contractor, and then we have two other part-time staff members, social media and media, as well as marketing and publicity. For us, one of the challenge is that when Leilani and I are touring our show or developing a piece, which means then the local programming crew or the local programming staff who's watching the capital in a sense as we are doing this project, and then ... we're still watching them, but from afar, but how do we then ... and so that's always been for us and I'm going to say with TeAda, it has been that struggle of trying to answer the question of our place. What is our place in terms of, what is our face and our brand? If I want to go corporate talking about branding, how do we brand ourselves in LA? Who are we in LA? That's where the CreAtive Self Care and the local programming has become that sustainable piece for us. And then nationally, obviously, Leilani and I have been able to nationally gone around, and that's because of The National Performance Network, that's because of NEP, that we've been able to do this work that we do. How many of these partnerships do we then continue to sustain? Sometimes these partnerships to get to the point where ... if there is a specific project, the fruition of that project takes years to come together. It takes time. It's not an easy, "We're partners now, let's to do this project together." Because a lot of these partners also have their own programming, and so do we just create our process within their programming? Is one. Do we create another project within ... so those are the things that have been challenging. Jeffrey: One of the things that's so fascinating to me about ensembles applying for grants is that you have to have a project in mind. Do you find it liberating or challenging to have a community partner to work with in that capacity when you apply for a grant? Ova: What we've learned is to try to be as transparent and clear as possible in terms of what the partnership is going to be. Number one, that's one thing. Talking with the partners and say, "Hey, here's what we're proposing. How does it fit in?" or "What are you guys providing? What are we providing? This is what's going to come out of it. You guys are providing space, you're bringing participants, and then we're going to then come together. We're going to bring some artists, and then we're going to work together, working on these teams that focus on this, and then we're going to come together and then present." In terms of the fundings, again, every funding source is different. Every grant is different, and so sometimes having a partner in stronger. Sometimes not having that partner ahead of time will go either way. Leilani coined this word. I really like this word. When you are writing grants, it's what she calls grantnastic. Grantnastic is like doing gymnastics. You're doing a whole tumbling routine to figure out how to get this funding team to also fulfill the funder's needs. So it's a grantnastic. It's like, "Okay, I'm going to do a triple back flip, but I got a land in this spot. But if I don't mind in this spot, is that going to be okay?" That that's the thing. Again, is having a partner within a project better or worse? It all depends on the grant and what they're looking for, as well. We're looking at these partnerships, but these organizations, what funding do they have to continue their programming? Again, back on that hamster wheel, like, "Okay, where do we go from here now? Do I just jump in from just once the small wheel to another bigger wheel?” Again, those are the pros and cons. For us strategically, in terms of as an arts organization, it's almost like ... I was saying it's almost like dating. It's almost like looking for a relationship from one organization to another, and seeing, "Okay, well, this is a great friendship. Let's continue this friendship." Or, "You know what? We've had this friendship for a year. It's not working out for whatever reason. Thank you very much." And then we’ve got to move on. To sustain ourselves ... and again, that's where ... do the projects ... are they parallel? Do they serve your organization? Do they serve our organization? Jeffrey: If you had a clear cut answer to that question, I think all of ... we would have solved the whole world's problems. Right? Ova: Well, yeah [crosstalk 00:50:39]. To add to that ... I'm sorry. To say that, for example, when we've had conversations, "Okay, let's just partner with an academic institution." There's some theatre companies that, for example, one here is 24th Street Theater is connected with USC. Maybe we can ... and it's easy to say, it's hard to do because there are these obstacles and barriers that you create and you don't think about. There's red tape, there's all that protocol that ... and there is that relationship, but even then, what is that relationship like? That's where, for me, it's like, I wish I wouldn't even the answer. I was like, "Well, yeah, of course." Can we look into that avenue and try it? We can, but I don't know how equitable would that be. How equitable would that relationship be. For some organizations, yes, it works because ... whatever. Again, it goes back to the transparency and the partnership that it has. Again, if we had answers to all of this, it would be easy. We always have questions of like, "Well, we're looking at for ... we're doing this project, you know what, let's just go to ... because we're working with refugees and immigrants, why don't you just call a, you know, Angelina Jolie, because she'll help with this because it's about refugees and immigrants." It's not that easy, but just to think what could be. Jeffrey: It becomes a multiple headed beast that you can't control all of, and you might have truly different outcomes or objectives as a final goal for y'all. It totally gets sticky. That makes a lot of sense. From what I perceive, it looks as though y'all make work, you're creating through documentation a lot of ways. Is that true? Ova: Yeah. Documentation, oral histories, storytelling, all of that. That would be inspiration to create work. Jeffrey: How do you edit those things in the rehearsal process? It feels like such, because people are bringing such true stories, and it feels like every facet of every single story has contributed to where we are right now. How do you say, "We got to let this thing go, but this thing right over here, this idea is something we've got to grab onto?" Ova: Process wise, there's different ways. One way is thematically. Within all of these, as we, collect stories, as we collect stories from various different people from the community, from workshops, from oral, from story circles, there are themes that resonate. In a sense, it's almost the writer looking at all these stories and go, "Okay, well, what are the themes that are coming from this community", or "What's relevant right now that seems to be a prominent?" Thematically, the theme is going to lead us into the creation of the work. That's one way of editing, in a sense, of choosing which stories to go with. The continued challenge within working with communities, and specifically communities of color, but who shows up is a big deal. Again, I work with ... whoever shows up was meant to be there for that timeframe, and you got to work with you what you have. Whoever's there is who we're going to work with. Within that group of people, we have a lot of collective knowledge. We have a lot of depth, so that's where, for me, it's the collective ... and that's where the ensemble for me works in terms of the process. I believe that we have the stories we need to tell right here right now, and we can come up with a lot of things. For me, that's where sometimes, who is there will lead us into whatever the piece that will come from that. Ova: It's true, and I'll give you an example. For example, when we were in Portland working, doing TCG during a theatre communications group. We were there because we were working with the immigrant ... IRCO, immigrant resettlement organization there. Obviously, they work with various different communities. We were surprised because our intention at first was to go in there and work specifically with refugees from the Middle East. From Iraq, from Iran, from Syria, and ... primarily Muslim, as well. We were hoping that that would be the participants that came. But when we got there, number one, there was a hate incident where there was a stabbing on the public train. It was a hate crime against the Muslim community. That community has to respond to that by having these actions and these gatherings, during the time that we were there to do this project, none of them could come because they were responding to what was happening in the moment of what was going on in their community. Were like, "Well, who do we work with then?" We're coming to this workshop, we're going to ... we were hoping with this intention. What happened was that then there was another community that would ... and these were ... it's a different story. Bhutanese community from Nepal who have been ... and their story was fascinating because they have been in refugee camps for over twenty years in Nepal. They're people from Bhutan that were pushed out of Bhutan because of the government, and so then they were living in Nepal, in refugee camps for over twenty years. I could not imagine living in a refugee camp for twenty years, and some of them grew up, were born there and lived there. And so, that was a community. They came up. The whole village came out, Jeffrey, it was incredible. Grandmas and grandpas and families and kids, and we were ... we took what we had, and we created and they got to share their story of their journey from Bhutan to Nepal in the refugee camps in and into Portland, Oregon, of all places. Again, you work with who you have, and in that process, it was amazing to know a different narrative, a different story from a different community that I never expected to work with. But we still work with who we had. The village came out. It was amazing. They all came out. They were twenty of them, and all of them really came on and participated, and it was amazing. One of the transformative, impactful moments was ... so one of our process is at the end of every workshop, we do what we call ... basically a closing from process, and we usually ... what we call them a mahalo circle or a gratitude circle. You offer one thing you're grateful for and one thing you take away with you. And what was great was a lot of the grandmas are the older women that came out, they were grateful to be coming to this because ... and they would take public transportation to get here. I was like, "Why are they so passionate to come out?" It's because they get to come out and do things there. They're not stuck at home just depressed because they're adjusting to this new culture and new society in Portland. For them to come out and be with us, to share their stories, to be heard, tell their stories, to talk about their dreams, their hopes was healing. That, for me, was just amazing to hear that ... and they're like, "I love coming here. I love spending time with you guys. Why not? I'm not at home. I am out doing something." That makes me happy. That's just one little nugget of that process that was just showing the impact and the transformative power of what we do. Jeffrey: Yeah, absolutely. We've entered the last five minutes, which means that I'd like to go into the lightning round of questions. What is your favorite kind of transportation? Ova: Khop tchaï laï laï, which means thank you in Lao. Jeffrey: Oh. Your favorite exclamation? Ova: [foreign language 00:59:55], which means great, again, in Lao. Jeffrey: I love it. What is an ensemble to you? Jeffrey: What is the opposite of TeAda? Ova: TeAda. That's the worst thing that came out of my mind. The opposite of TeAda is TeAda. Ova: It's like two sides of the same coin. TeAda is TeAda. Jeffrey: I love it. I love that. I love that. What would you be doing if not theatre? Jeffrey: And then what is your favorite kind of ice cream? Ova: Any green ice cream. Ova: Any green kind of ice cream. Jeffrey: That's great. This is amazing. I've had so many people tell me mint chocolate chip or mint ice cream of some variety ... I think this is really what ensemble theatre is coming down to, is what? The variety of ice cream that you believe in or that you would bet on. I'm all for that. Thank you so much for your time. I have to tell you, in my mahalo session, I have to tell you that I'm so grateful for your time today and for being so generous with your words and just opening up to your process and laying it all bare for us and really giving us an honest expression of how you feel and how your ensemble is functioning and your place in the world. For me, I'm going to take away a lot, but I'm really taking away the ... grantnastics is a fantastic word that I'm going to take away with me, and something that I will hopefully ... maybe we can make a hashtag out of that. That sounds like something. [laughter] But that's my takeaway. Thank you. Thank you. Thank you. Thank you so much for your time. It's really been a pleasure, and I hope to connect with you again sometime soon. Ova: Definitely, Jeffrey. Definitely. Mahalo. Khop tchaï laï laï. Thanks again for this time. Jeffrey: Yeah. Thank you. Have a great day. A big thank you to The Network of Ensemble Theatres. Without them, one, this podcast would have never even started. It was just a kernel, an idea in my head, and it came out at a conference, a NET conference. If it wasn't for them, I wouldn't be doing this right now. Two, I wouldn't have found TeAda. I was literally looking for a West Coast theatre company, and these folks at TeAda popped out at me because I had searched NET's member network. So thank you NET and the net folks who helped inspire me. Thank you so much. Alright, I'm just going to start it now. Hashtag cultural navigator, hashtag grantnastics. Join me with this because if you're flipping all over the place, trying to figure out how you're going to work this into a grant, grantnastics, or if you're trying to find the right person to be in the room with you as you explore ideas, your cultural navigator, bring them in. Hashtag let's see them. I really love this idea of a nomadic theatre company. This is not just an inspiring idea to me, it's also a huge question. Can a theatre company serve multiple locations? Not just tour the work, but actually be the voice of something where you're thinking of actually going to where there is need and making the change with your company. It gets back to what Michael Field was actually talking about with Dell'Arte and their third year projects. I'm starting to sense a theme here, folks, at least with our few less episodes of community partners and whatnot. Ova's idea about sustaining oneself and organization is unique to the location, the people, et cetera. But also I was struck with the idea of sustaining yourself around creating a routine. How do we create routine around ensemble based art? Is there anything routine about it? I guess right now it just feels like we work hard and then we look for grants, and then we continued to work hard and there's the overlap of all of that. I want to point out a few parallels among many different street theatre. In my interview with Coya Paz a few episodes go, she talks about the value of going to the community that you're making the art for, and Ova talks about this as well. Ova and Coya also talk about the value of the event, which I love. Art has value, and it should be paid for, but neither company is making their bread and butter with their ticket revenue. Also, the idea that a fundraiser shouldn't be about expending more than what's coming in. The value should be put on the work. Just hearing them both talk about that value, that it's more important to be putting money towards the art, something that they value, is really heartening. But this is a huge question. How do you create a fundraiser that targets the right donors and not break the bank? He also gets to this question that is difficult. Why isn't our work valued by different entities? I hear that not as some sort of woe is me statement, but rather as a big idea. We all want our work to be valued. We all want it to be seen. How do we explode our work to be seen by other entities? Okay, that's enough for now. We set up the pins for thinking. Let's knock them down. 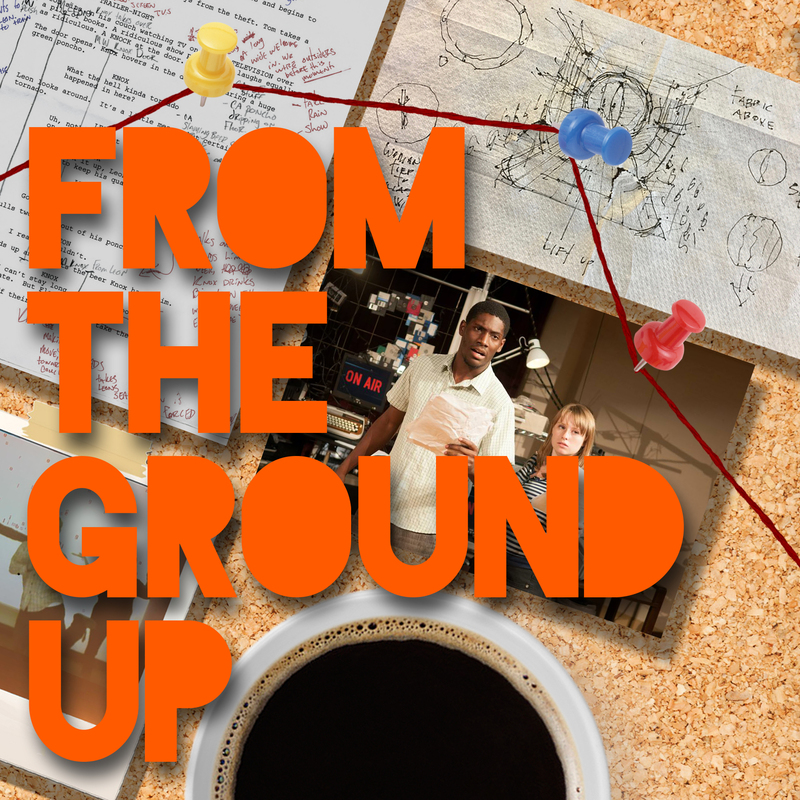 By the way, if you have any suggestions or ideas or responses, leave them in the comments section on HowlRound, or email them to me at FTGUpod@gmail.com. That's F T G U, from the ground up, pod, P O D @gmail.com. I look forward to hearing from you, and let's figure this out together. Alright, we'll catch you next time, and from the ground up.